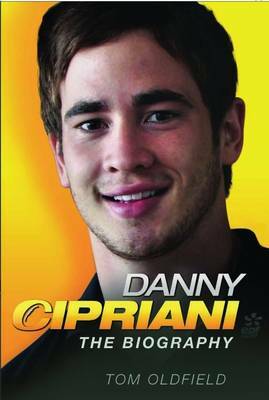 Danny Cipriani is the brightest star in English rugby. Whether it is for his flashy ball skills or for his celebrity girlfriends, Danny is rarely out if the media spotlight and, with all the attention and success his is receiving, it is easy to forget that he is only 21. Cipriani's rise to the top has been rapid but has required plenty of hard work. His mother's endless encouragement during a difficult childhood saw Danny excel on the sports field and he could have become a professional cricketer or footballer. Instead, he chose rugby. London Wasps wasted little time in acquiring the youngster's services and a happy partnership began in 2003 when he joined the club's academy. He learned from the best in the business and he received a taste of the big time in December 2004 when, aged just 17, he made his wasps debut. Tongues were already wagging about the new kid on the block. The whirlwind adventure continued as the fly-half position became available. Danny seized the opportunity with both hands, helping Wasps to vital wins with the silky touches and pinpoint kicking that would soon become his trademark. Life at the top is not always a bed or roses, though, and Cipriani's path so far has certainly been bumpy. He has had to endure relentless media coverage in recent years, speculating on his relationships with pop stars and supermodels. Furthermore, he suffered a serious ankle injury and a few sidelines for bad behaviour that put roadblocks on his path to becoming a regular player for England. But Danny rides the ups and downs with maturity beyond his years and will surely reclaim his number 10 shirt at the international level.